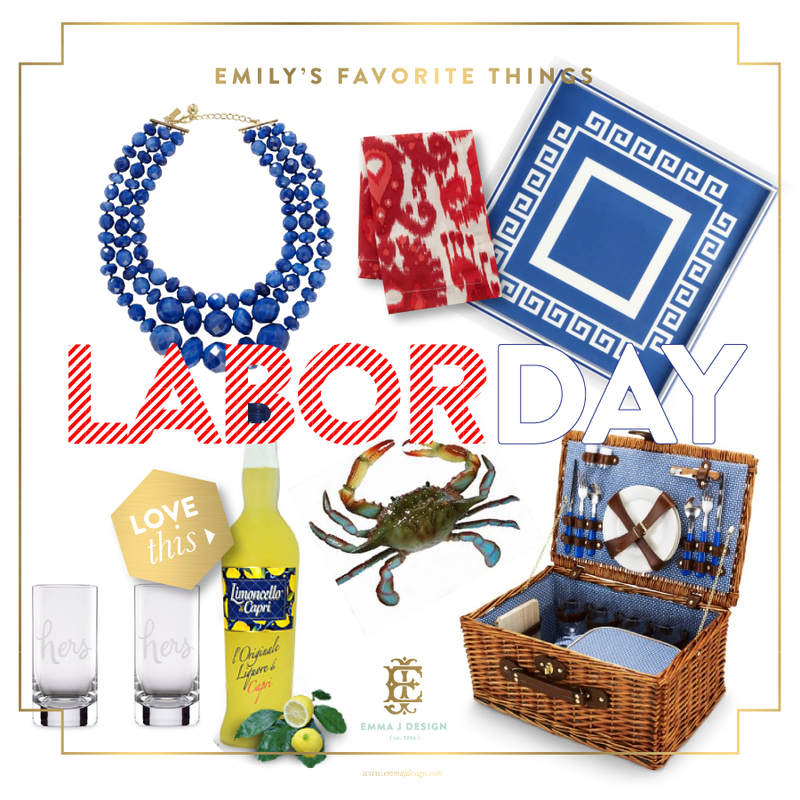 Wishing everyone a wonderful Labor Day Weekend – hopefully we will be catching a few Savannah blue crab, enjoying some limoncello and catching some rays. Wear your favorite shade of bright red lipstick…everyday. Order prosecco to drink…at 1 o’clock in the afternoon. Dash into work today in your best attire…you’ll feel more motivated than usual. Dress up to go shopping…heads will turn. Eat dinner on your fine china…tonight. You’ll feel fancy. Write a love note to your hubby…leave it by his coffee cup. Listen to Frank Sinatra today…I promise it will put pep in your step. 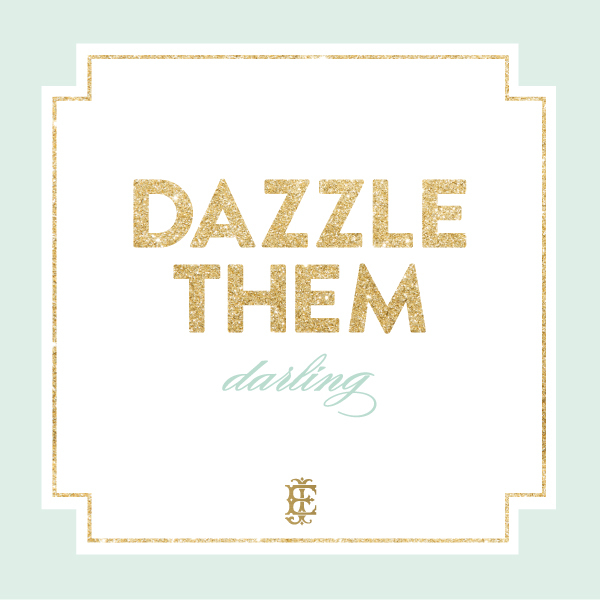 Don’t be boring, do something everyday to put a little dazzle in your life. In case you didn’t notice, I have been gone to far away places with my two favorite boys. Well, not really too far, but it was far enough for us. We took a short trip over to Hilton Head Island, South Carolina for the entire week – a much deserved first official family vacation. It is always nice to get away, recharge, ponder new ideas and rest up for a fresh start. This trip has timed nicely as I am finishing off a busy summer with Rhett, attending Stationery Academy and wrapping up details for a busy fall wedding season. After leaving Stationery Academy, I felt invigorated to take my business to the next level. I’m toying around with so many ideas and just trying to fine tune the direction. First up will be creating a whole new blog full of fresh ideas, inspirations, spotlights on my favorite work and stylish snippets from my day-to-day life. Next up, only time will tell. From an online store of luxury personalized paper & gift goodness to hosting cocktail party design sessions at our local paper shop, the ideas of flowing! I would love to know if there is anything you would love to see for my custom paper & branding company EMMA J DESIGN, everyday paper line TWIST PAPER or just me! Drop me a note [email protected] – I love to see client’s ideas come to life. More dazzling things to come – stay tuned. It sounds simple, but radiance is hard to show with the everyday hustle of life. We are so busy keeping up with schedules, work, children, networking and home life that it is easy to wear ourselves out. If you are truly joyful every single day for the people in your life, the career path you have chosen and the things you are surrounded by, then it is easy to exude radiance. Your pure happiness will shine through in every aspect of your life. I am guilty as the next to feel worn down by the daily grind, but I try to remember these four things everyday: to be kind to my husband with my words and actions, grateful for my amazing business and friendships, to feel beautiful inside and out, and to be as giving as possible in the glory of God. Some days are better than others, but at least I try. You HAVE to try to find happiness in your life and be grateful for what you have, what you have accomplished and have the strength to pursue your dreams. I feel so fortunate to do what I truly love everyday as I have followed my dreams. It is the most satisfying journey I have ever traveled. 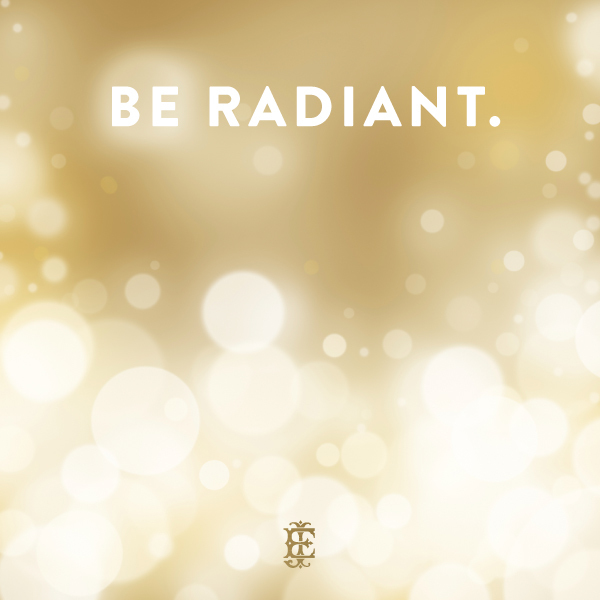 Live radiantly for your loved ones, colleagues and most importantly, for yourself. Starting a new series on the blog, my favorite things! First up, in honor of our vacation spot, Hilton Head Island. 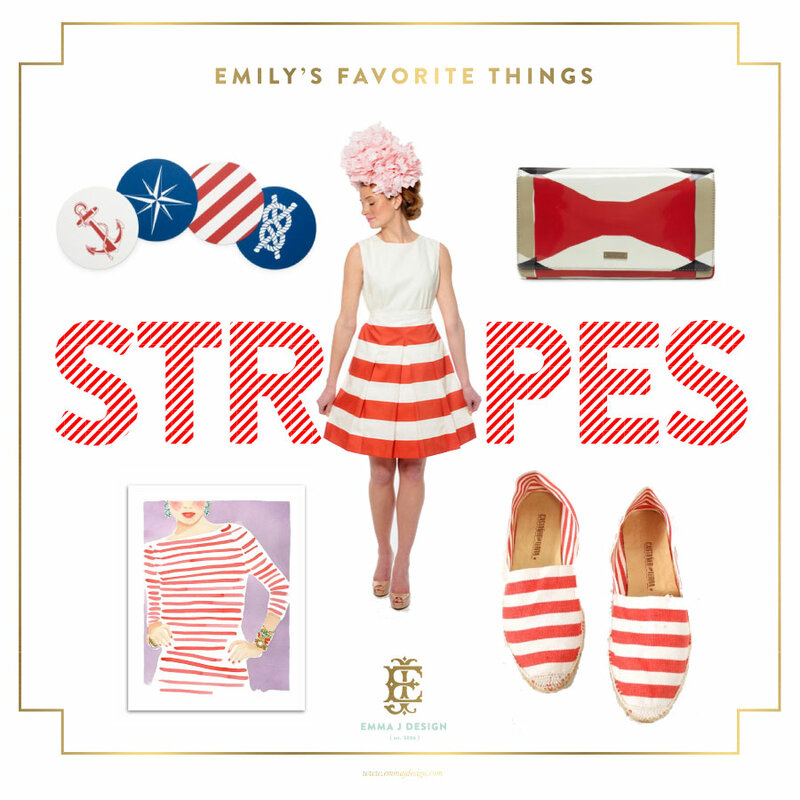 Known for the famous red striped lighthouse, HHI has total coastal chic style. Wanted to share how lovely this new branding turned out for the talented Sarah Buck! You may remember her previous design – we wanted to freshen her look up! This time, we created a custom calligraphy look to the logo, added a fresh color scheme, blog header and a brand new website design. Check out the website live here. Over the years, I have assisted party hostesses, brides and wedding planners with invitation etiquette and wording. In order to spread the word about invitation etiquette, I have created this handy guide to wording, dos and don’ts. Feel free to share, pin or study for your next event! Custom invitations are available through EMMA J DESIGN. woo hoo! I found a fellow style blogger in Savannah! Beautiful blog! Loved this post. I'm definitely following you! I hope you'll visit my blog and follow me too! What a charming way to ensure we remember our manners! As a part of my presentation at Stationery Academy, I challenged attendees to make a list of their top 10 most treasured items. These items could be a painting, piece of antique jewelry or their favorite tunic. Using these items as inspiration, designers needed to create invitations or stationery centered around elements of their favorite things. The end result? A collection of truly unique designs that are the best representation of their signature style. I put myself to that test every time I work on a collection for Twist Paper. Twist needs to be the best representation of me and my style so instead of looking for what other designers have created, I use my surroundings as inspiration. This is the best way to stay true to yourself without being jaded by others in the industry. It’s funny to see trends come and go. While it is important to stay current and fresh, you need to create beautiful designs that are truly unique and stand out from a crowd. I designed chevron for Twist over 3 years ago because I really loved chevron and have for years. Now, chevron is everywhere you look. In the words of Whitney English Kolb, be a trendsetter, not a trend follower. Here are the inspirations for these popular Twist invitations – each one was created with something I love in mind. True to form, they have been very popular because they are unique and my signature style. Love this so much! 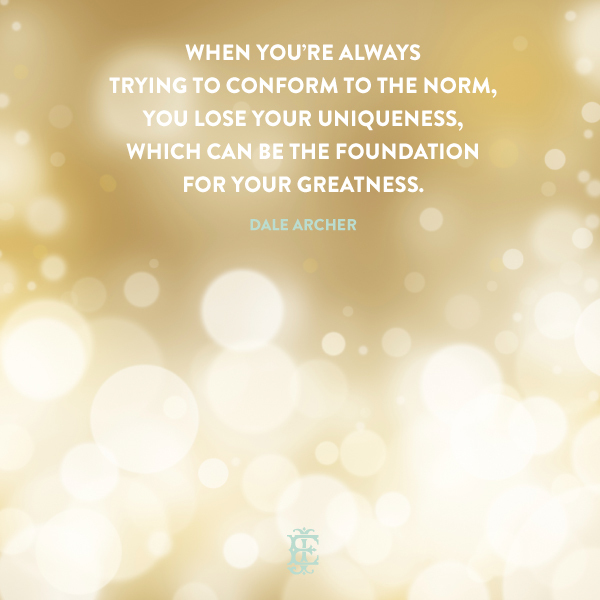 Thank you for teaching us how to be authentic… you're such a good encourager! I better get to work on my homework! Thank you to my mom for sending over this gem yesterday!